Moss Gold Mine. Photo by Northern Vertex Mining. 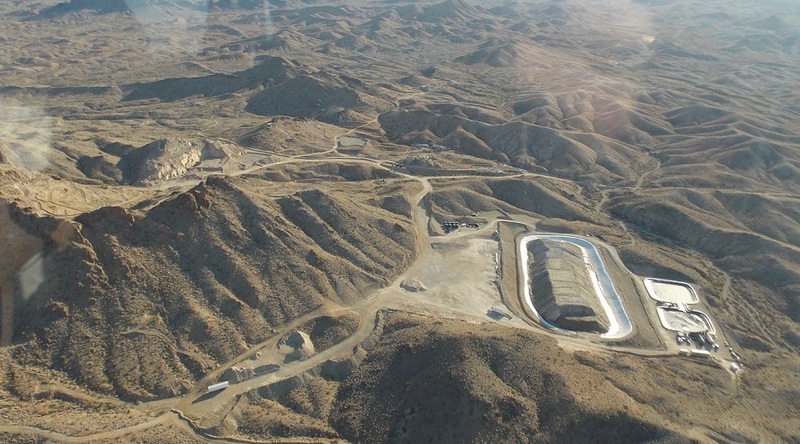 Vancouver-based Northern Vertex Mining (TSX.V: NEE) announced today that it has filed the Preliminary Economic Assessment for its Moss Gold Mine, located in northwestern Arizona. With the PEA, the company intends to demonstrate the upside of reactivating this historic gold/silver project, whose expected mine life is of 10 years. Company officials also want to show the technical and economic viability of extending the Moss mine to include resources onto the company’s adjacent un-patented mining claims. Such scenario would imply, however, getting into federal public lands administered by the U.S. Bureau of Land Management. This would require the submission and approval of a Mine Plan of Operations. “This PEA is further encouragement of the scalability of production in the initial years as well as the potential longevity of the Moss Gold Mine. Eliminating the patented boundary constraints and increasing production to a peak of 60,000 gold equivalent ounces in year four, the PEA indicates the Moss mine project has the potential to measurably improve the economics stated in the Company’s Phase II Feasibility Study published in June 2015,” Kenneth Berry, Northern Vertex’s President and CEO, said in a press release. According to Berry, management intends to conduct an aggressive exploration and resource expansion program during the first two years of production in order to further expand existing resources. “It’s not out of the question that we have the ability to double our resource,” he said in an interview with Palisade Research.